My mom recently visited and she came with lots of goodies for me. 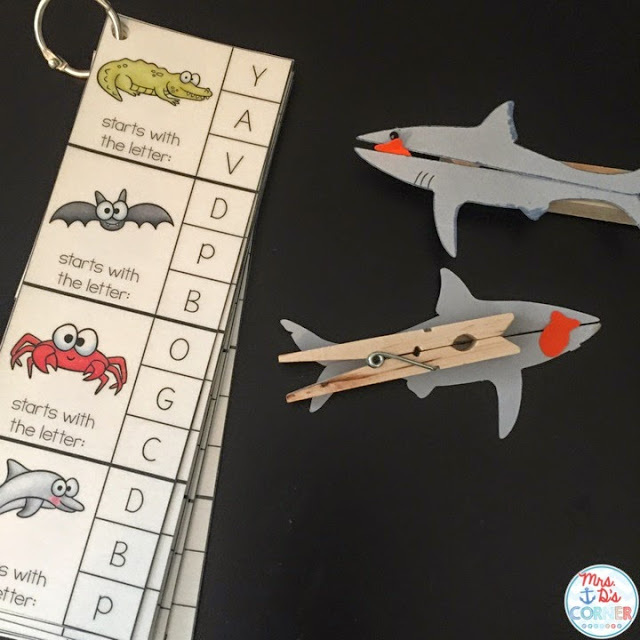 One thing she brought me were these adorable shark clothespins, and anyone who knows me knows that I am absolutely crazy for sharks. It is on my bucket list to cage dive with great whites, that’s how insane I am. 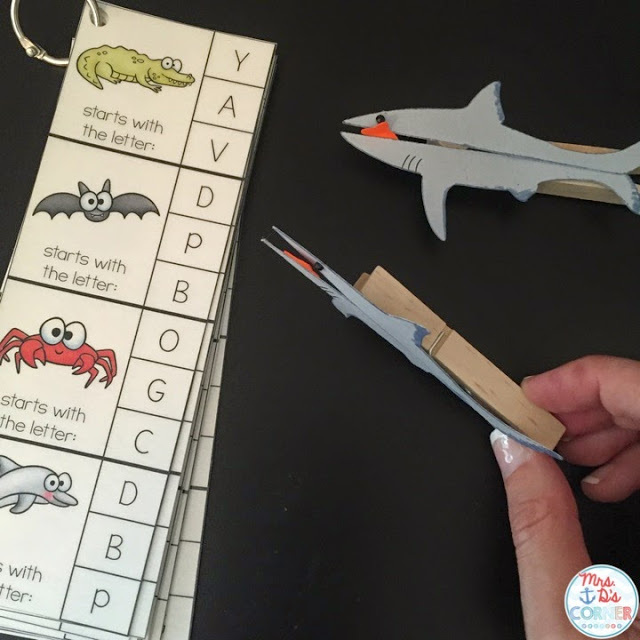 But these super cute shark clothespins gave me an idea for my classroom. 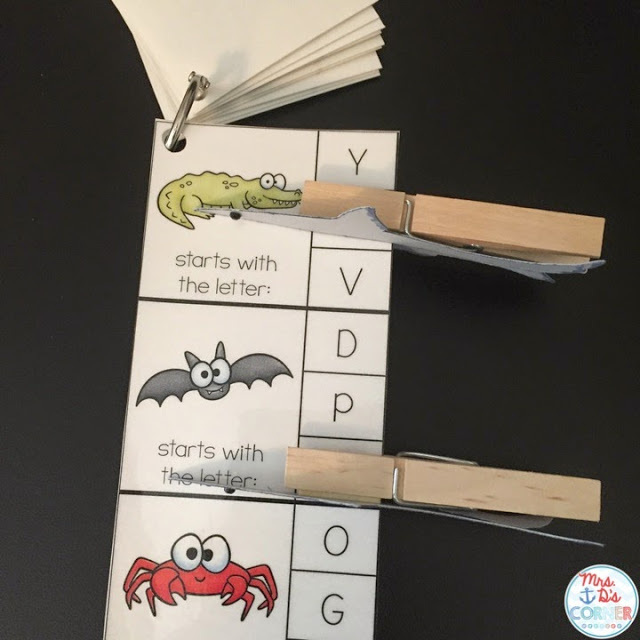 I’ve used clothespin activities in the classroom before and it’s a great dual way to practice an academic concept and motor skills at the same time. 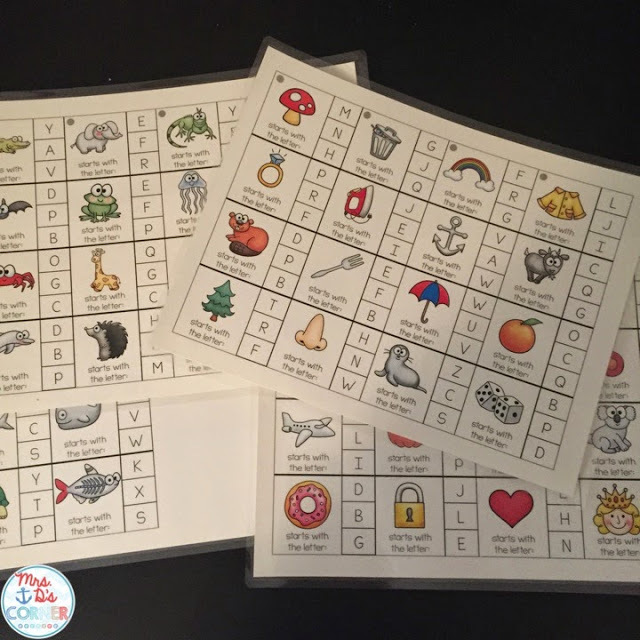 So I created these alphabet picture assessment strips for easy use in the classroom. 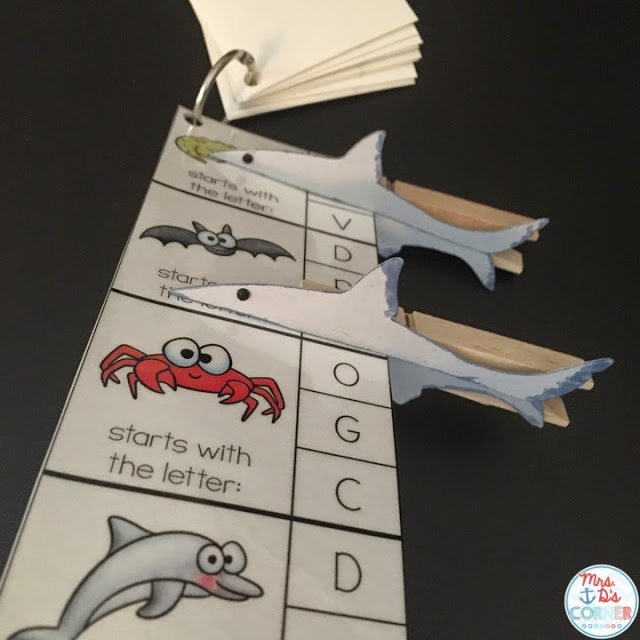 To create your clothespins, simply print the resource linked above, cut out and glue to the clothespins. 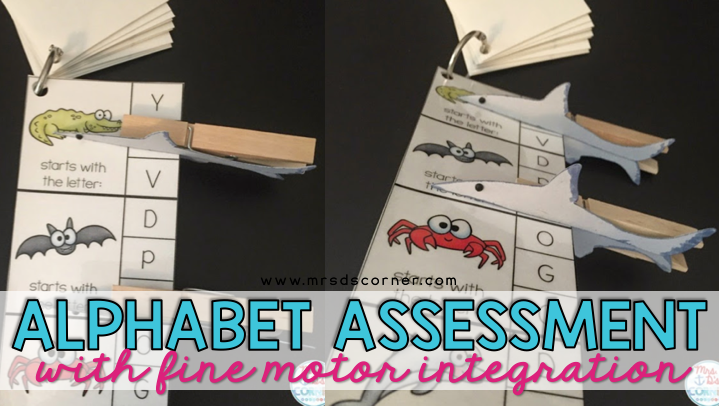 To create the alphabet assessment strips, print the resource linked above. 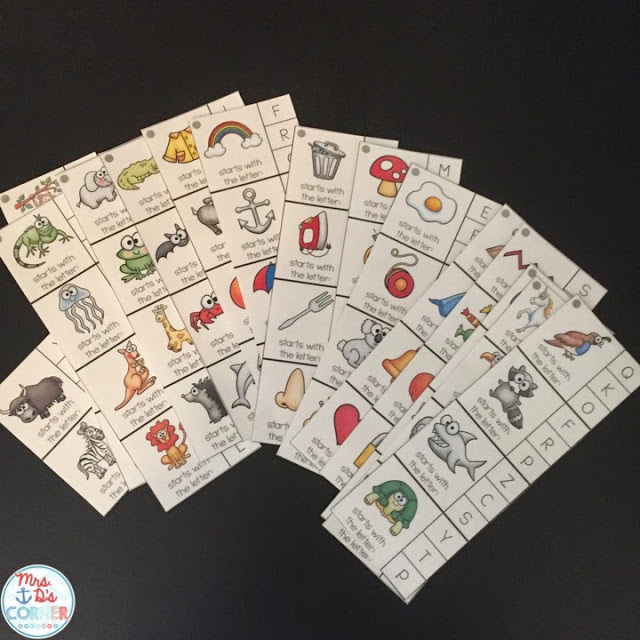 I printed them out on white cardstock and laminated them for longevity. Then cut the assessment strips out. They should look like this when you finish cutting the strips out. 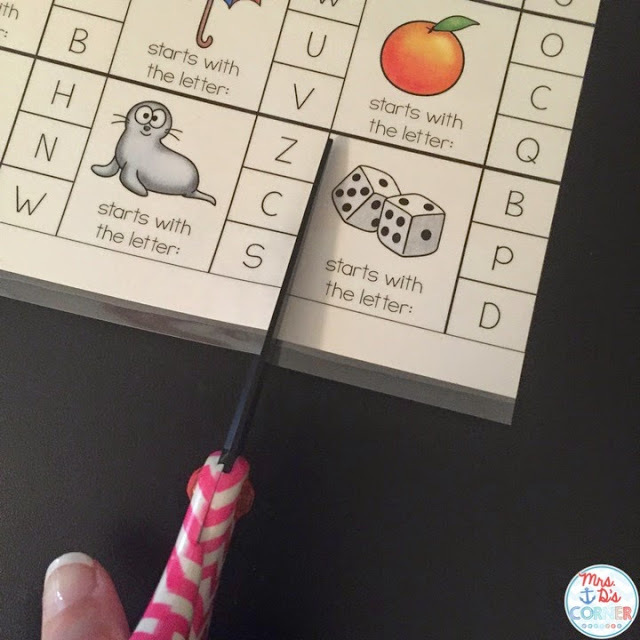 Next, you’ll need to single hole punch on the grey circle at the top of each strip. 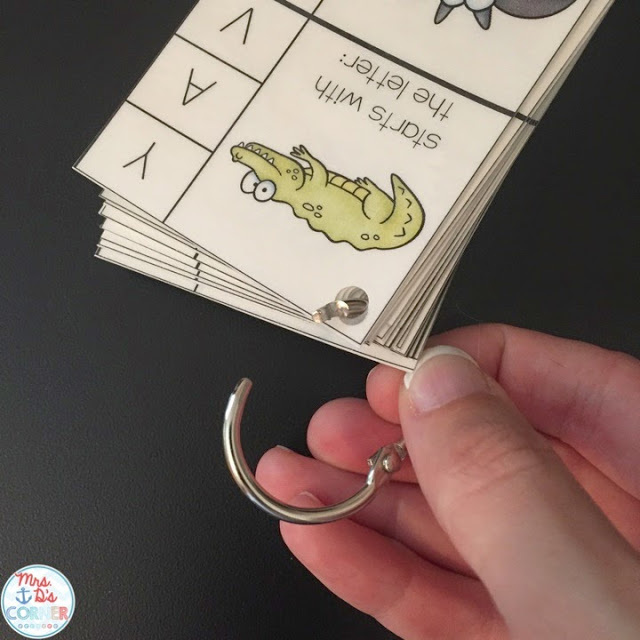 After you’ve put a hole through each strip, you’ll need a 1″ binder ring. 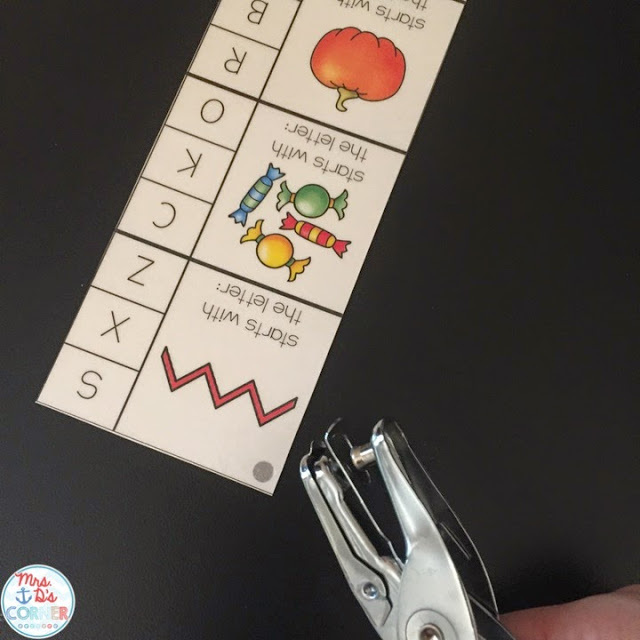 You can put the strips in any order or you can keep them in the order I’ve put them in on the freebie. Once you attach the binder ring, you’re ready to play! That’s it! I love the power of a short and sweet assessment process, especially for my little friends. How do you assess students in your classroom? Thank you so much! These are adorable. I can't wait to get them ready for my students! I absolutely love these! Thank you SOOOO much for sharing!